This is our fourth week using My Father's World: Creation to the Greeks as our spine curriculum. We finally enjoyed our Sabbath meal from week one. 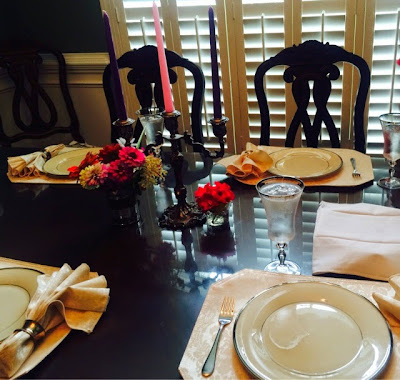 We deviated from the proposed plan in Celebrating Biblical Feasts here and there, but overall we had a lovely and as true to a Messianic Sabbath experience as we could. As a couple of examples of change, our challah was store bought yeast rolls - not actually challah and definitely not homemade. Also, the covering was simply a handkerchief that used to be my great-grandmothers. We chose to use this one and not make our own bread covering with the traditional Jewish symbols. We also used three candles instead of the traditional two. The first represents Creation, the second represents Christ our Redeemer, and the third - the one we added, Caraline decided would represent our family in Christ. We did, however, recite the beautiful prayers and blessings as described in our Celebrating Feasts book. 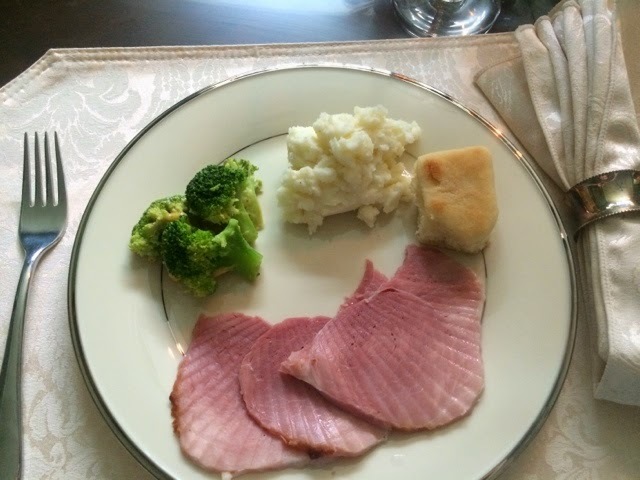 This was certainly our best meal of the week. Again, for this celebration we weren't going for kosher or even perfection, we were simply enjoying a beautiful feast with a few of our favorite foods and remembering the Creator of all things and our Redeemer. 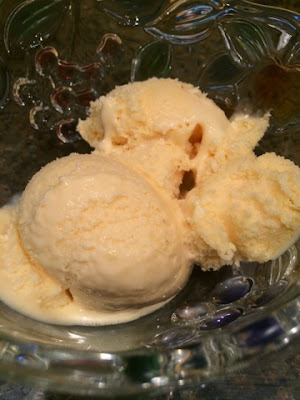 Homemade peach ice cream for dessert! Nature Study: let's veer off MFW for just a second because this is so cool! 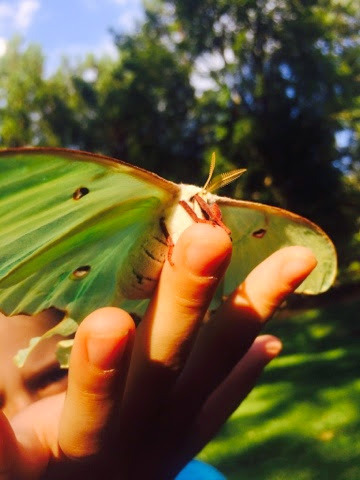 Jonathan found a beautiful Luna moth last Sunday. We felt she was near the end of her short week long life because even when dark came, she still did not fly away. After observing her with delight for an extended amount of time, the kids carefully placed her in the tree fort for the night. There she would have cover but would be free to fly away as she wished. 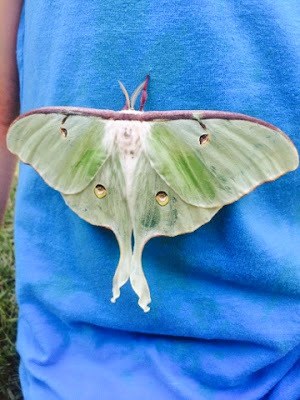 We didn't know Luna moths were covered in so much fuzz. It would fly off the moth with the slightest breeze. I actually thought it was a tiny bit of dog fur I was seeing floating around, but upon closer examination it was from the Luna moth! We know it's a female because the antennae are somewhat slender. First thing the next morning Jonathan checked on Luna in the tree fort. She wasn't alone! She had acquired a husband. Jonathan noticed Mr. Luna fly off as he climbed into the tree fort, abandoning his new bride. We noticed she had somehow injured her wings during the night. They looked awful. There was no way she was going to be able to fly again. 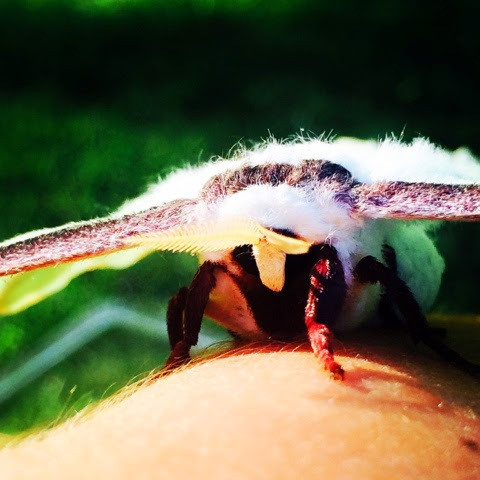 We placed her into a nice habitat with fresh sweet gum leaves and things from nature we thought a moth might enjoy. We planned to let her enjoy some peace and quiet during the daytime in the habitat and release her that same night into the tree fort again. To our surprise and delight, sometime during the day she began laying eggs in the habitat! 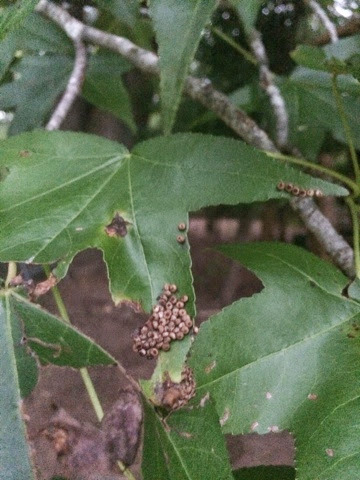 We decided we should go ahead and release her onto a tree her babies could begin eating from once hatched - a sweet gum! We learned about the uniting of Lower Egypt and Upper Egypt. 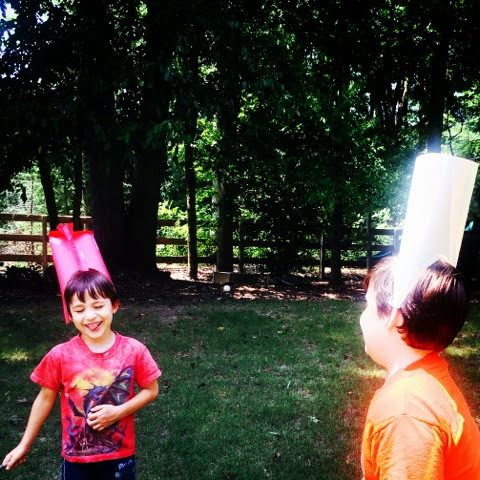 The boys reenacted the story in their respective crowns that Caraline made just for their battle. The teacher's manual contained the script and all the information we needed to have a successful dramatization. We also learned about farming along the Nile, Egyptian boats, and the geography of and surrounding the Nile. Did you know the Nile flows from south to north? For science, we are using a book called Learn about Pyramids for the next couple of weeks as scheduled in MFW:CtoG manual. Here's a picture of a fun activity we tried from the book. We made square base and triangular base pyramids and tested the strength of a cube against a pyramid. (Daddy even got in on the building action.) Do you know which is stronger? We used an older version of the Build and Learn Geometry Kit to make our models. 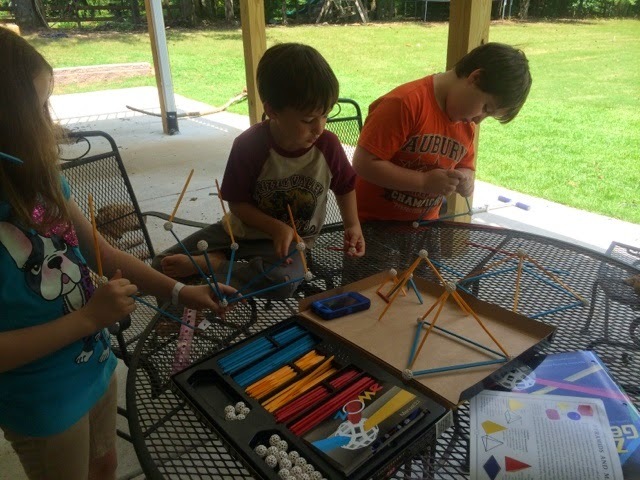 Ryan was the first to figure out how to make the square and triangle pyramids! He is definitely our engineer. 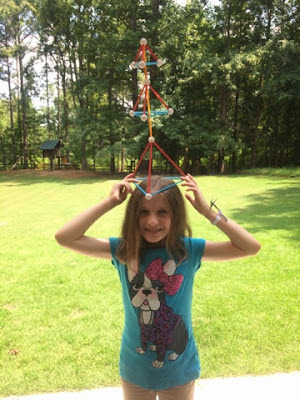 Carline created this neat three tiered pyramid headpiece. For Bible, Caraline and Ryan are reviewing the order of Old Testament books of the Bible with Jonathan. He needs a refresher since last year was his first year trying to memorize them and Caraline and Ryan have it down pat. 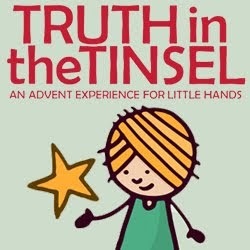 We also read the first few chapters in Matthew and Luke. 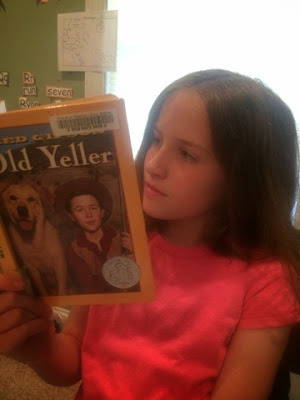 On our visit to the library this week Caraline chose Old Yeller . She devoured it in two days, and then we watched the movie together. She has declared from now on she wants to read books about animals. Next on the list is Summer of the Monkeys . I can't decide if I want to make it a read aloud or just hand it off to Caraline for silent reading. I remember one of my teachers reading this book aloud to our upper elementary the class and I loved it! I know the boys will, too. If I don't read it aloud to them now, I will soon. I Wonder Why Pyramids Were Built a good little book with lots of interesting facts presented in a style similar to Usborne. Ships, Sailors and the Sea recommended in one of the Sonlight packages. It explains the history of boating and the types of boats from the beginning of history until modern times. We read up to ancient Egypt. Boy Of The Pyramids: A Mystery Of Ancient Egypt This is a Simply Charlotte Mason book. We've read the first chapter and so far it's really good. Roll of Thunder, Hear My Cry - This certainly isn't ancient Egypt, but we like to change it up a little. We are actually listening to the audiobook from the library. I have it in print form, too but the narrator is A.Mazing! I highly recommend the audio version. Caraline will occasionally read along in the book, too. The Whispering Sphinx (Jonathan Park Radio Drama) We are loving Jonathan Park. 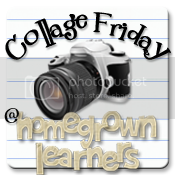 This the first we've listened to and will defiantly be on the lookout for more. 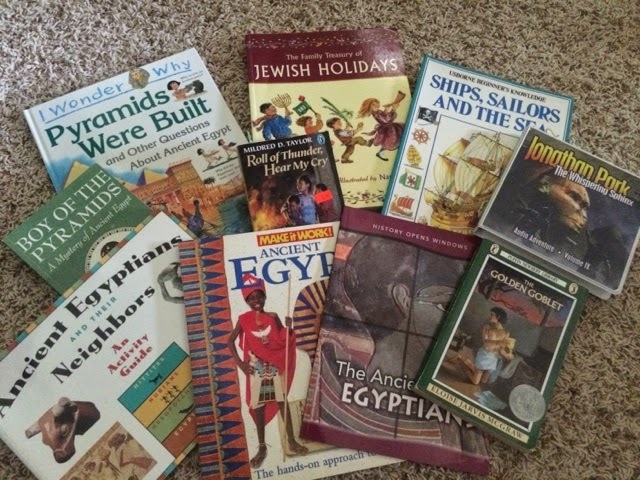 Ancient Egyptians and Their Neighbors: An Activity Guide I pulled this one out this week for the kids to look through on their own. I'll read through bits and pieces of this with them over the next few weeks and pick a few activities to do. This looks like a really, really good book! Ancient Egypt (Make It Work! History) This book is scheduled in the MFW manual. It is interesting and has models for its pictures. The Ancient Egyptians (History Opens Windows) We've read the first few pages of this book so far. The information is presented in an easy to understand format. The Golden Goblet We are just beginning this one. 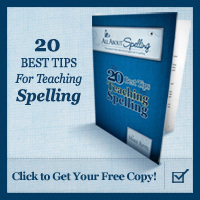 It comes highly recommended by many main stream curriculum guides and reading lists. And we continued on in our math, Prima Latina, English from the Roots Up, Grammar, handwriting, creative writing and our study of Vivaldi. We've also added in God and The History of Art Volume I this week (thanks Amanda!). We caught up to the eighth lesson to get on schedule with the MFW manual and managed an afternoon of swimming with friends. 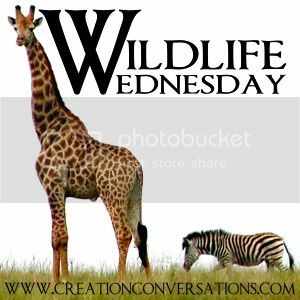 We are linking up with Weird, Unsocialized Homeschoolers' Weekly Wrap-Up.